The American Climate Prospectus team is released a book based on the original ACP in 2015. 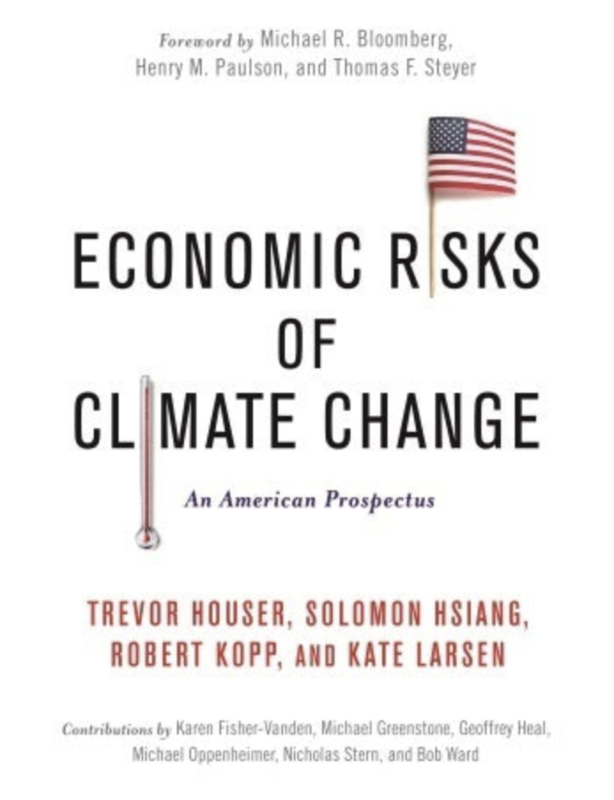 “Economic Risks of Climate Change: An American Prospectus” included a foreword by Michael Bloomberg, Tom Steyer, and Hank Paulson and contributions from Karen Fisher-Vanden (Penn State University), Michael Greenstone (MIT), Geoffrey Heal (Columbia Business School), Michael Oppenheimer (Princeton University), and Nicholas Stern and Bob Ward (Grantham Research Institute). The United States faces a range of economic risks from global climate change — from increased flooding and storm damage, to climate-driven changes in crop yields and labor productivity, to heat-related strains on energy and public health systems. The American Climate Prospectus (ACP) provides a groundbreaking new analysis of these and other climate risks by region of the country and sector of the economy. By linking state-of-the-art climate models with econometric research of human responses to climate variability and cutting edge private sector risk assessment tools, the ACP offers decision-makers a data driven assessment of the specific risks they face. The ACP is the result of an independent assessment of the economic risks of climate change commissioned by the Risky Business Project. In conducting this assessment, RHG convened a research team, co-led by climate scientist Dr. Robert Kopp of Rutgers University and economist Dr. Solomon Hsiang of the University of California, Berkeley, and partnered with Risk Management Solutions (RMS), the world’s largest catastrophe-modeling company for insurance, reinsurance, and investment-management companies. The team’s research methodology and draft work was reviewed by an Expert Review Panel (ERP) composed of leading climate scientists and economists, acknowledged within the report. The ACP was released on June 24, 2014 alongside a Risky Business summary, and can be downloaded below. Please sign-up in the field on the right hand side of this page to be notified of any updates.